Run this cleaning checklist when moving out of rented accommodation to receive your full deposit. You are hoping to retrieve your hefty deposit when you move out. If, however, you do not properly clean the property at the end of your tenancy, there could a nasty surprise in the form of a reduced (or non-existent) deposit return. After all, as Shelter states, as long as you haven't "caused any damage or missed any rent payments", you'll be getting back the equivalent to one-to-two months' rent! 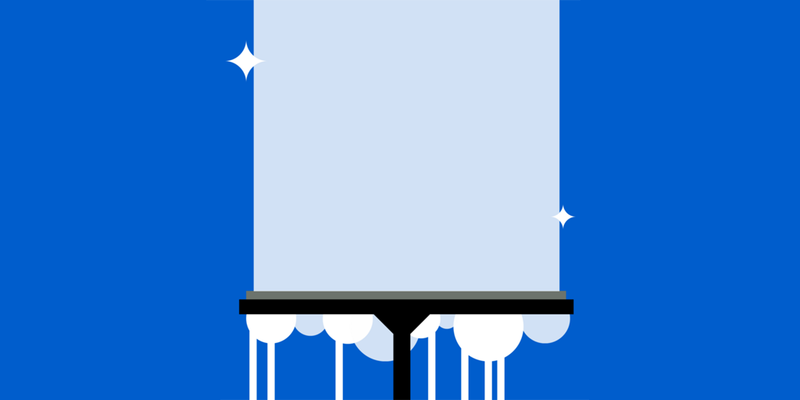 Use this cleaning service guide to ensure that you do not miss a thing. After all, you wouldn't want to lose a chunk of your deposit because you forgot to clean the living room blinds, would you? 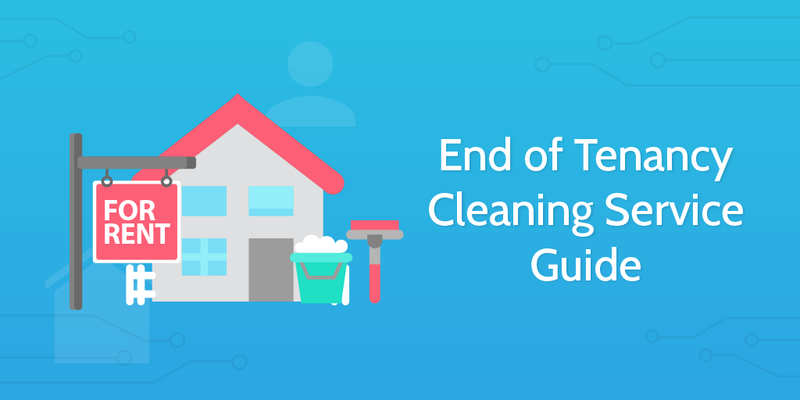 The first thing you want to do in the end of tenancy cleaning service guide is to record all the relevant details to the property, tenancy and yourself. Do so by using the form fields below. To start off, you need to ensure that all of your personal items are removed, or at least packed away. This obviously needs to be done in order to move out at the end of the tenancy, but doing so before cleaning allows you to reach everywhere that you need to during the process. All rubbish should be packed into bags and disposed of. Now you must remove any extra nails or screws from the interior walls, and to fill the resulting holes with putty or spackle. 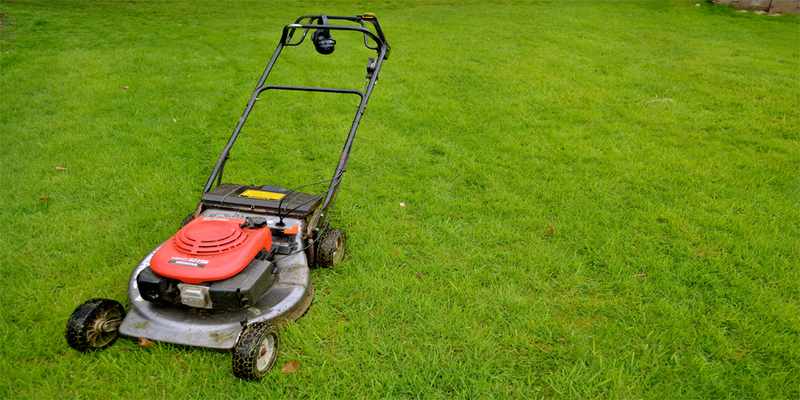 Remember to remove any excess, leaving a smooth surface behind. Contact the landlord before filling holes as some prefer them to be left unfilled. Now you need to dust every room from top to bottom; this will be one of the more time consuming steps due to the volume of surfaces. Most blinds and curtains are able to be cleaned simply through vacuuming. If they are musty (for example, with tobacco smoke), take them down and air them for as long as possible. Alternatively, use a fabric spray such as Febreze to remove the odors. Only if required and approved by the landlord should you take all curtains off their rails and wash them, or have them professionally cleaned. Doing this when not necessary has the potential to do nothing but damage the curtains, or spawn the need to re-hem them. This is far easier than cleaning the outside. All that is needed is two clean cloths and some glass cleaning fluid (or a dishwashing fluid solution). Simply apply the cleaning fluid or solution to the window and proceed to wipe it off using a clean cloth. Then use the second cloth to buff away streaks. Now you need to take care of the light fixtures, ensuring all dead bugs are removed and any dead bulbs are replaced. Using a clean cloth, remove any dirt from all light switches. Be sure to clean all walls and doors, removing any marks (including those above heaters). Use a solution of warm water and colorless dish soap to avoid damaging the surface, paint or wallpaper whilst cleaning. Apply with a soft cloth or sponge and wring out excess water to prevent causing the wall or door damage. Repeat the process with pure warm water, and pat dry with a cloth towel. Incredibly simple and easy to do, ensuring that all cupboards are cleaned with general purpose cleaner and a wipe down with a cloth is vital. Any potential food residue will severely impact both your chances of getting the deposit back and the amount eventually returned to you. Remember to cover inside and out; cupboard doors must also be cleaned. Follow this up with some multipurpose disinfectant on the inside of the cupboards, and wipe away. Likewise, kitchen countertops must also be in a state for immediate use upon the next tenants arriving. 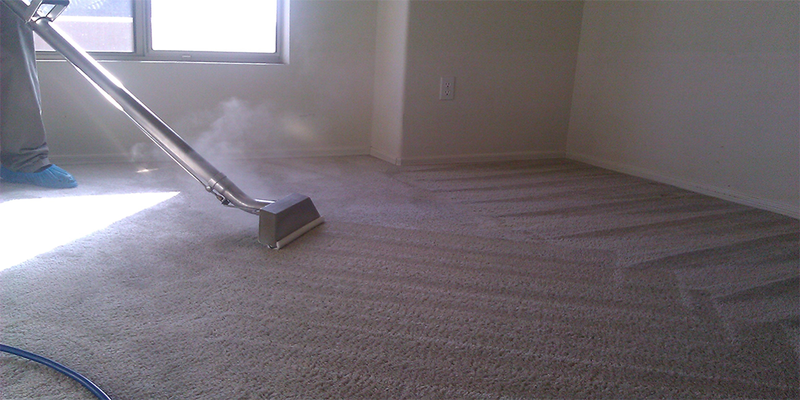 Each type of surface has slightly different rules for cleaning to avoid damage in the process. Check out this article for guidance on how to clean your specific type. With all of these surfaces clean and dry, the bulk of the kitchen is done! Time to move on to the individual appliances. Although the property may not contain a combined fridge-freezer, this information can also be applied to the separate appliances. 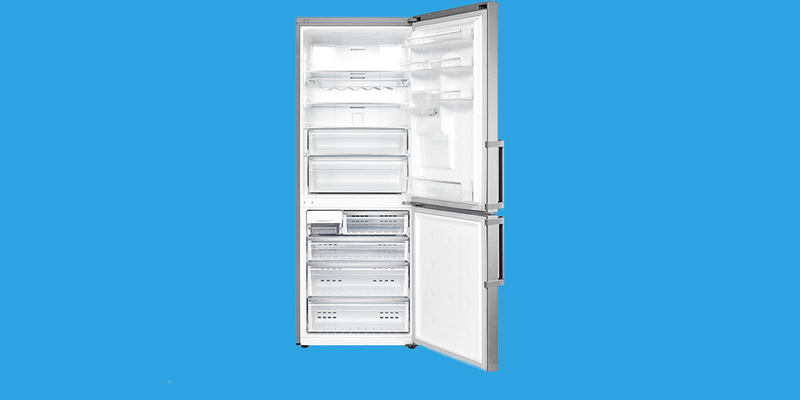 Make sure the fridge and freezer are both completely empty. If there are signs of dirt or stains, clean the inside with a warm, soapy solution. Only turn off the refrigerator power if the landlord requires you to. Dishwashers are simple to clean, but are necessary to do if present in the apartment. First, remove the racks and clean off any food or debris with warm, soapy water. The same method applies to the inside of the dishwasher door and the grate at the bottom of the machine. For each of these, remove any food waste and wash with warm, soapy water. Now remove the filter (some have screws, so be prepared with a screwdriver) and wash with warm, soapy water before replacing it. The final step is to run an empty cycle with 2 cups of vinegar in the bottom of the machine. Stop the cycle halfway through for 20 minutes to allow the vinegar to stand, and then continue until finished. To clean a gas stove, first you need to remove any grates and knobs (if possible) and leave them to soak in warm, soapy water. Then put a small amount of soap onto the sponge and dip in warm water, squeezing the majority out again. Now proceed to wipe / scrub away any stains, food or grease, reapplying the soap and re-wetting the sponge as necessary. Rinse out your sponge until the water coming out of it is clear and clean, and proceed to wipe away the soap and grime on the stove top. Rinse the sponge as often as necessary to remove all but water from the stove top. Buff with a kitchen towel and use a scourer to scrub clean the grates and knobs. Dry off the components and place back on the stove. 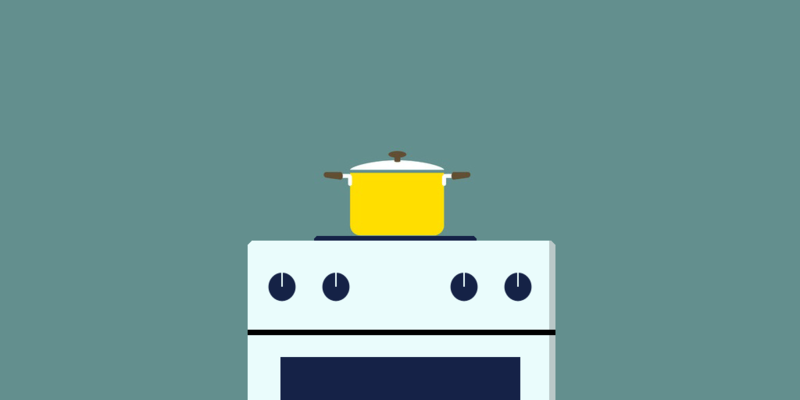 An electric stove requires much the same treatment, with warm soapy water to scrub off grime, a clean sponge to wipe down, and then drying it off. If a kitchen exhaust fan is present you need to clean both the mesh filter and the fan itself. To do this, first ensure that the fan is unplugged or the circuit in the breaker box which controls the fan is switched off. Next remove the mesh filters and pour boiling water over them. Scrub with a warm, soapy solution and leave to dry after rinsing out all residue. Now mix 1 quart of warm water with 2 tablespoons of baking soda and 1/4 cup of ammonia. Use this to scrub the fan housing and blades, drying each segment as you go. Bear in mind that if this has not been done recently several repeats of this process may be required. One complete, replace the filters and plug the fan back in, or turn on the circuit in the breaker box. Probably the biggest killer of many deposit returns at the end of a tenancy is forgetting to clean the oven. True, this may seem like a herculean task, but keep following this cleaning service guide and you'll see those months of rent back in your pocket. If you have a textured oven, simply wipe down the interior with a wet sponge, as these clean themselves whilst you cook. If necessary, use a solution of vinegar and water. If you have a self-cleaning oven, ensure the oven door is locked and turn on the cleaning setting. This should heat for 2-6 hours, and then be left to cool for another 2. Once finished, sweep out the ashes with a dustpan and brush and wipe down the interior with a wet rag. 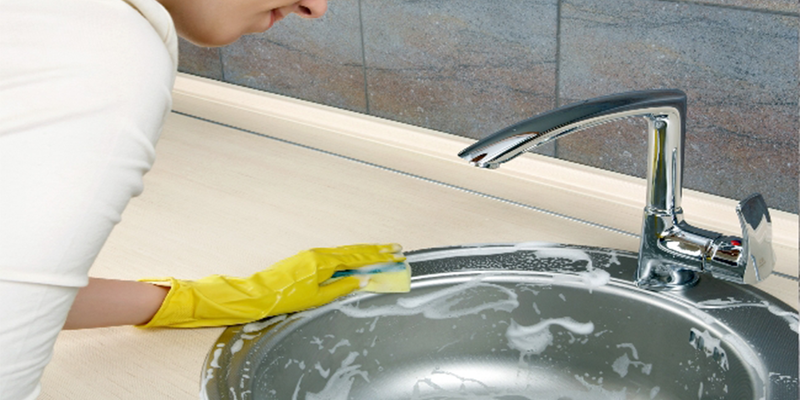 Sinks, drains, plug holes and taps should all be clean and clear. To do this, use a sponge with a solution of warm water and dish soap to remove marks or stains. Tougher patches may require all-purpose cleaner and rust can be removed by applying WD40, leaving for an hour, then rinsing. To ensure clear drains, either use some drain unblocker or mix 1 cup of baking soda, 1 cup of salt and 1/4 cup cream of tartar. Pour 1/2 a cup of this mixture down the drain followed by a quart of boiling water. Garbage disposals should be cleared by running ice cubes through them. All bathroom tiles must be scrubbed free of any soapy residue or grime. Whilst time consuming this is once again incredibly simple, as using a sponge and either warm, soapy water or a general bathroom cleaner should remove most marks. 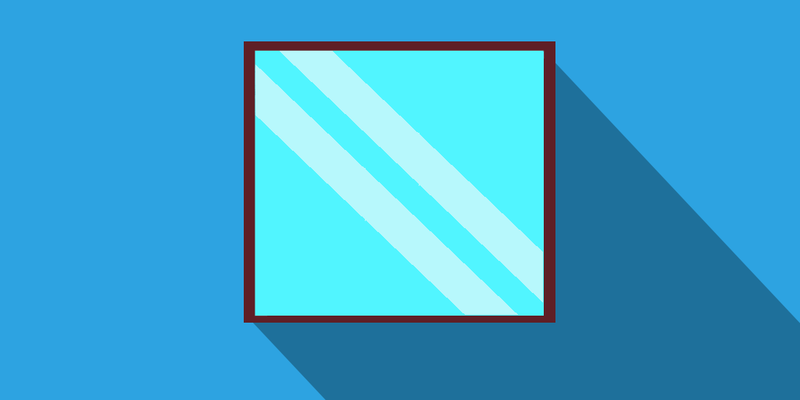 Mirrors are relatively easy to clean; the key is to use clean microfiber cloths. Apply warm water and then buff with two separate cloths. For those with more grime, make a warm, soapy water solution and apply with a sponge. Then apply warm water and buff with two separate microfiber cloths. The exterior should be cleaned with warm, soapy water. The toilet bowl can be cleaned by applying bleach (ensure the room is well ventilated) around the underneath of the rim. Once applied, scrub the interior with a toilet brush, removing all marks in the bowl and underneath the rim. Although tiles have already been covered, it's time to move on to the shower and bath themselves. First off, remove the shower head and tie it inside a sandwich bag 1/4 full of white vinegar. Leave it to soak for 15 minutes, then rinse off, dry and replace. Use a toothpick to get into the crevices in the shower hose and controlling unit (e.g: the plastic casing or taps). 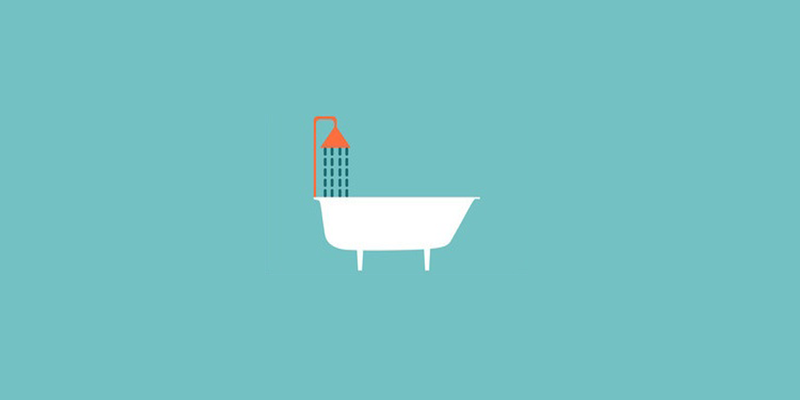 Baths are to be cleaned with a half-water, half-white vinegar solution sprayed over the entire surface. Leave it to stand for 15 minutes, then wipe away with a sponge, rinse with water and wipe again with a clean cloth. If tougher stains are present apply baking soda before praying with the vinegar solution, leave for a few minutes and then scrub until a paste forms. Then carry on with the previous method by leaving it for 15 minutes. All shower screens can be cleaned by using a dedicated bathroom cleaner and a clean sponge. After this, rinse the screen and wipe down with a squeegee. If you need to buff the door (for example, if the glass is covered in watermarks), do so with a microfiber cloth and a solution of white vinegar and water. Shower curtains need to be taken off their rail and put in a washing machine with two bath towels (to prevent crinkling or damage). Add 1/2 cup of baking soda to your detergent during the wash cycle and 1/2 cup white vinegar during the rinse cycle. Hang to drip dry, and remember to clean the curtain rail with bathroom cleaner before re-hanging. First up, time to clean the washing machine. Although this may seem unnecessary, this too has the potential to impact your deposit return and so should not be taken lightly. First, wipe down the top and front of the machine with a clean cloth to remove any dust or lint. Next, remove the lint trap and vacuum both it and the slot housing it to remove as much as possible. 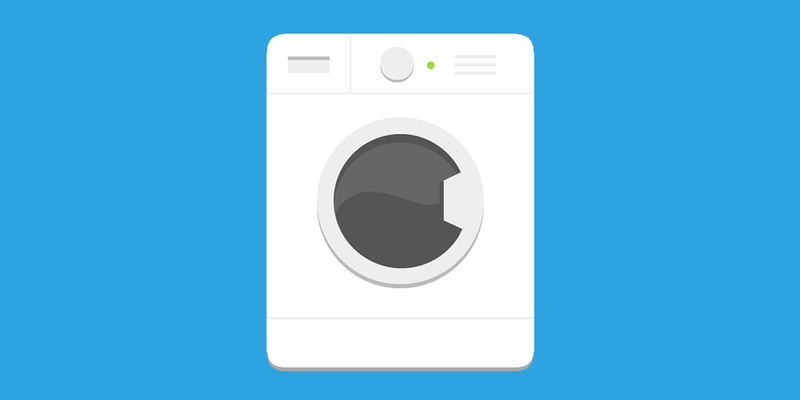 Use a dry cloth to remove any lint that is left on the trap or in the slot. Finally, use a damp cloth to wipe down the inside of the drum, followed by vacuuming it with the hose attachment. Once again, refer to the Kitchen section for full instructions, but generally speaking use warm, soapy water to clean and a normal towel to dry. You have the option here of either hiring a professional window cleaner or doing the task yourself. The Family Handyman provides a concise guide to cleaning windows if you wish to tackle it yourself. Mix up some warm, soapy water and use the scrubber to apply. Once the entire pane has been wiped down, use the rag to wipe off any remaining suds. Although all personal items should be removed by this point, ensure that the garage is swept and completely clear. Wash down the garage door with warm water and dish soap. You also need to remove any oil stains in the garage, on the driveway or on the pavement outside the property. To do this combine dish soap with baby oil in a 50/50 mix, and scrub into the area with a brush. Let it soak for 5 minutes before washing away, and if the stain persists repeat until it has gone. Take this opportunity to also put out all rubbish bags accumulated during the cleaning process. Once the pool is clear and the tests come out at an acceptable level, hand in the final test to either your letting agent or landlord to ensure there is no confusion or doubt as to your efforts. First, move all furniture out of the way. Then, thoroughly vacuum the floor and mop with a warm, soapy solution. If cleaning a wooden floor, be sure to use the correct cleaning agent to prevent damage. Also, remember to wring out the mop before applying it to the wooden floor; too much water can cause buckling. Finally, buff the floor with a cloth to remove any soapy residue. This is absolutely necessary when vacating a property. Some landlords prefer to organize a professional cleaner themselves, however, be sure to contact them and be certain of whose responsibility it is. If hiring the cleaners yourself, it is vital that you ask for and save a receipt of the transaction using the form field below. This is to prove to the landlord that all carpets have indeed been cleaned. If you own pets, fumigation may also be required and should be discussed with the landlord. Once again, save any receipt as proof of service. Take photos in order to prove that the house has been cleaned to a high standard (on the off chance that something causes a mess after you leave). 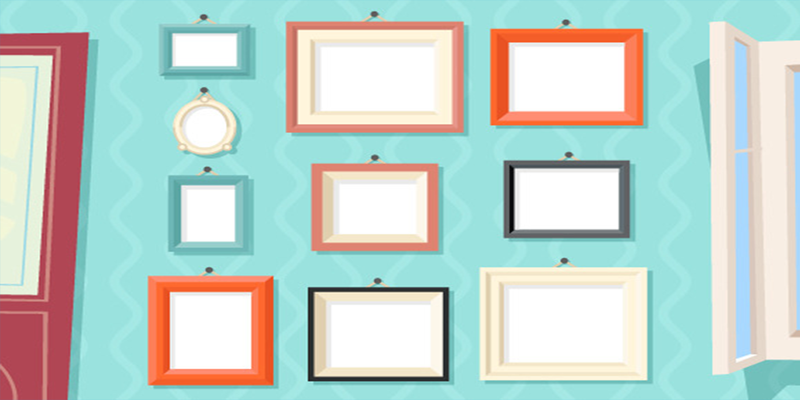 Record a link to the photos in cloud storage (or copies of the photos themselves) using the form fields below. Congratulations! The pre-move clean is complete, and it is now time to drop off your keys and leave for your new place. Cleanipedia - What is the Best Way to Clean Tiles in the Bathroom?